When you have a project in mind, look no further than BIG WATER DOCKS, LLC. Lake Eufaula's leader in marine construction. We innovate, we plan, and we deliver. BIG WATER DOCKS, LLC was formerly known as R. Nuckolls Construction. 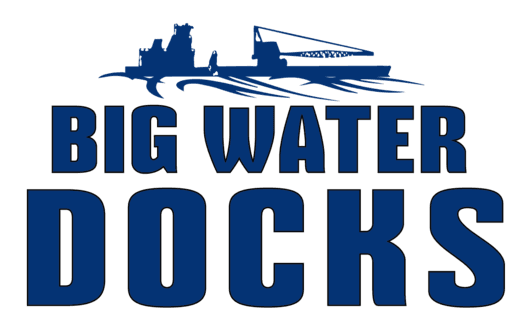 BIG WATER DOCKS, LLC may be a new name. But, one things remains unchanged – our dedication to doing the best work. We keep an old fashioned attitude, and that attitude is that it needs to be done right and on time. There are leaders, and then there's everyone else. At BIG WATER DOCKS, LLC, we take immense pride in driving the industry standards forward, focusing on efficiency, quality, and safety. When you're dealing with mother nature, your tools can be the difference between moving forward and spinning your wheels. At BIG WATER DOCKS, LLC, we're continually finding the best equipment and techniques. Our standards are high. So high in fact, we're in a league of our own, moving our entire industry forward. BIG WATER DOCKS, LLC has become synonymous with the highest quality craftsmanship.